The mission of the Building Owners and Managers Association of California (BOMA California) is to preserve and promote the interests of California commercial real estate professionals through legislative and regulatory advocacy. The BOMA California Board of Directors meets three to four times a year in different locations around the state. The Association’s budget is funded by dues and assessments from each metropolitan BOMA, based on each Association’s proportional share of statewide BOMA membership. Meetings are duly noticed and agendized. The Board has empowered the BOMA California Executive Committee to make certain decisions when necessary between regular Board meetings. BOMA California was created in the 1980’s when representatives from several metropolitan BOMA’s found themselves in Sacramento at the same time, testifying on the same legislative issues affecting the commercial real estate industry. In an effort to have the industry speak with one unified voice, in a cost efficient manner and with greater authority, the leaders of several of the local associations decided to create BOMA California. 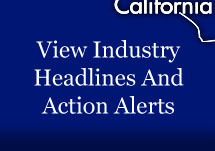 Click here to read the BOMA California Bylaws.